As always, the honor includes one classy paint job. 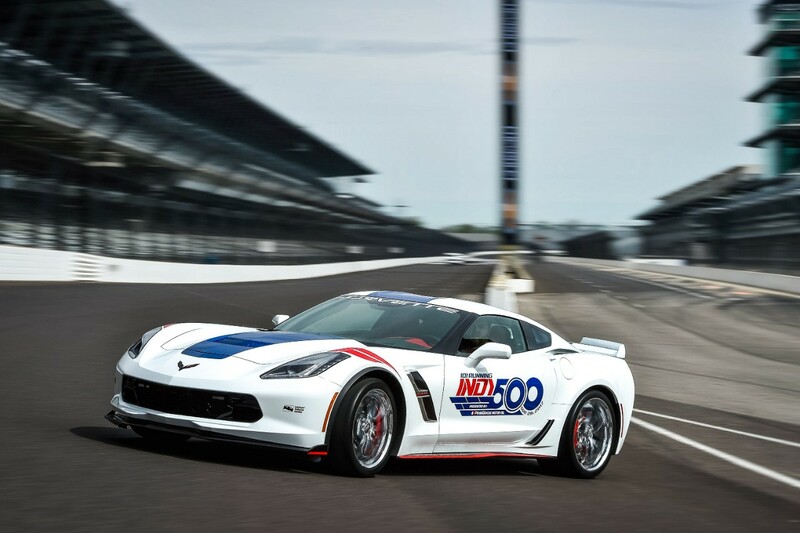 When the 101st running of the Indianapolis 500 kicks off in central Indiana on Memorial Day weekend, a Chevrolet Corvette will be serving as pace car for no less than the 14th time in the Indy 500's history. 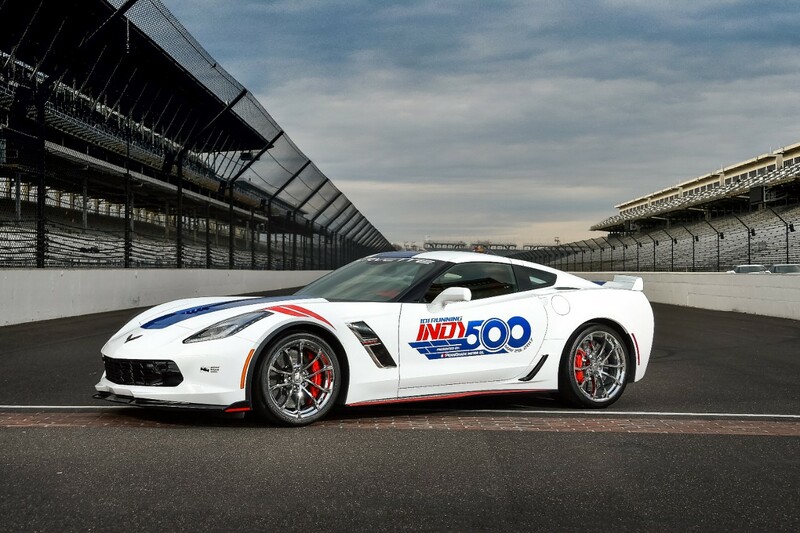 Which means for yet another year, Chevy will be presenting to the world a Corvette with one hell of a tacky paint job. Okay, we kid. 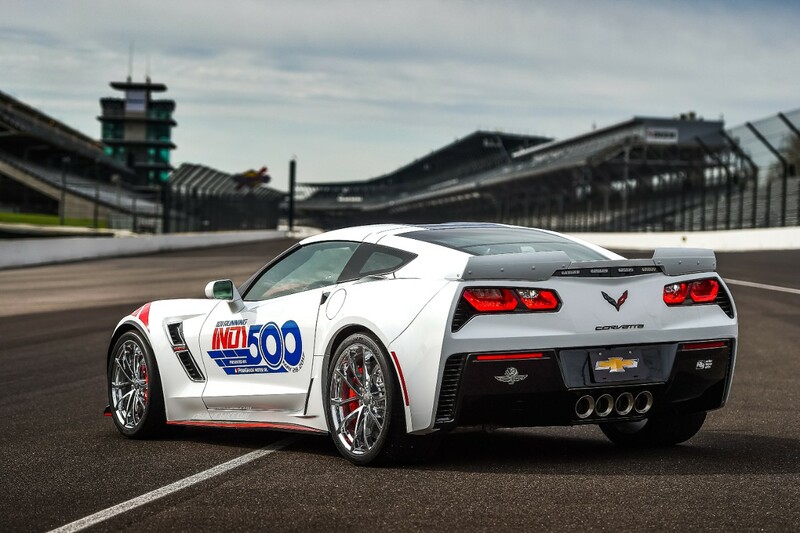 Compared to some of the Corvette (and Camaro) pace cars of Indy 500s past, the 2017 race's Corvette Grand Sport is rather subtle. The red and blue accents bedecking the exterior add some all-American panache without straying too far over the line into kitsch; having the name of the car smeared across the top of the windshield is a little less tasteful, but considering this car is meant to represent the brand in front of millions of people watching on TV, it's understandable. 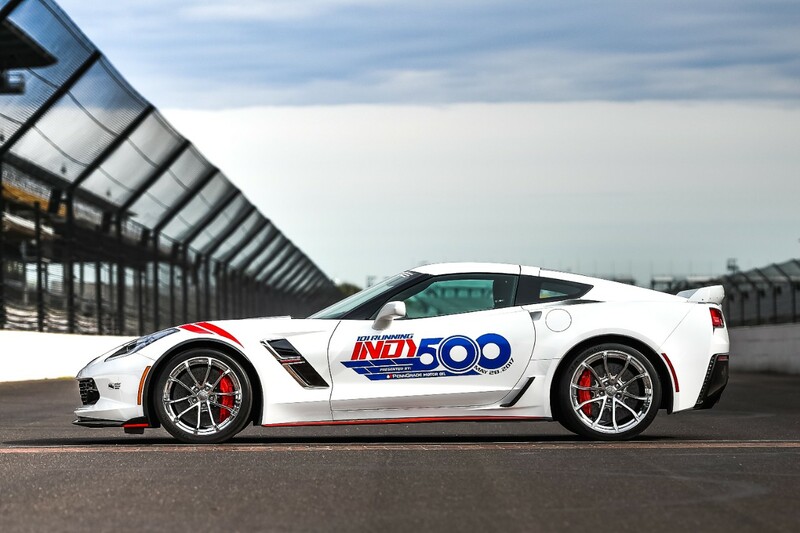 And while we'd rather not drive around town in a Corvette with "101 RUNNING INDY 500 MAY 27 2017 PRESENTED BY PENNGRADE MOTOR OIL" blasted across the doors...well, that's nothing a quick trip to the paint shop couldn't fix. 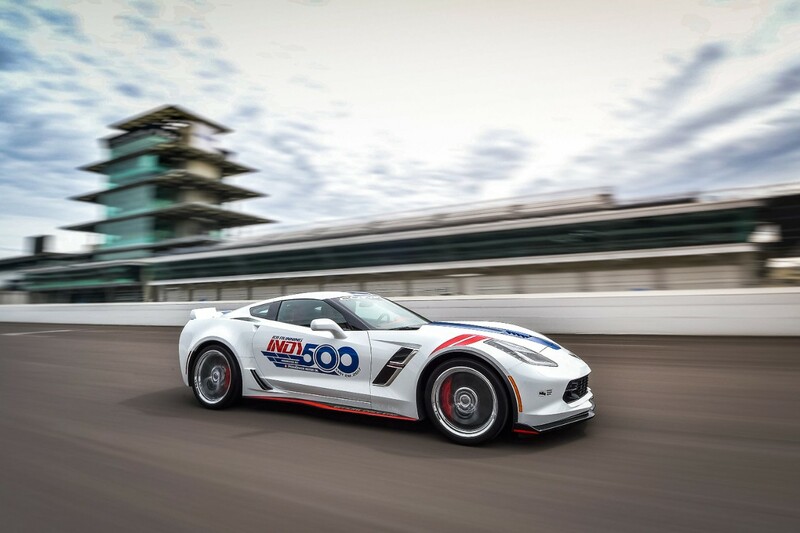 Besides the livery that Chevrolet understatedly describes as a "unique Indy 500 graphics package," this Corvette Grand Sport coupe is identical to any other GS running the Z07 performance package. Power comes from a 455-horsepower, naturally-aspirated 6.2-liter V-8, sending power to the 20-inch rear wheels clad in 335/25ZR20 tires through an eight-speed automatic transmission and an electronically-controlled limited-slip rear diff. 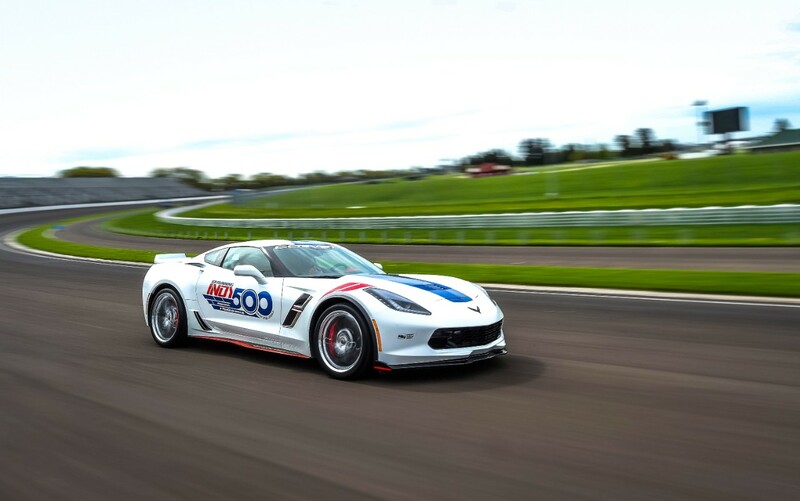 Magnetic ride suspension helps the Grand Sport handle like the budget supercar it is, while the Z07's carbon-ceramic brakes and stickier tires. If you can think of a better way to spend $67,000 or so, let us know in the comments below. 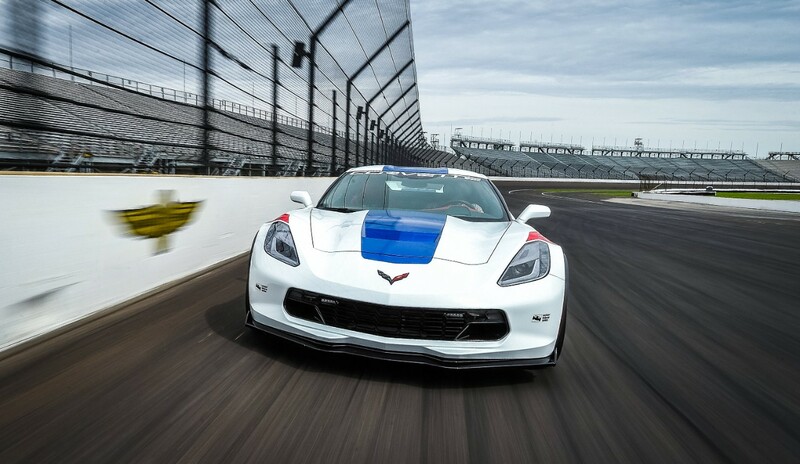 Chevy's bargain super sports car once again proves its value. What do you get an American icon for its 65th birthday? Carbon fiber. Can't have the tourists taking any Snapchats with the mid-engined C8. The pride of America isn't afraid to take the 'Ring by storm. Clarkson, Hammond, and May take The Late Late Show host for a spin.